Mr.Zingo started to create other Plaster Arts. 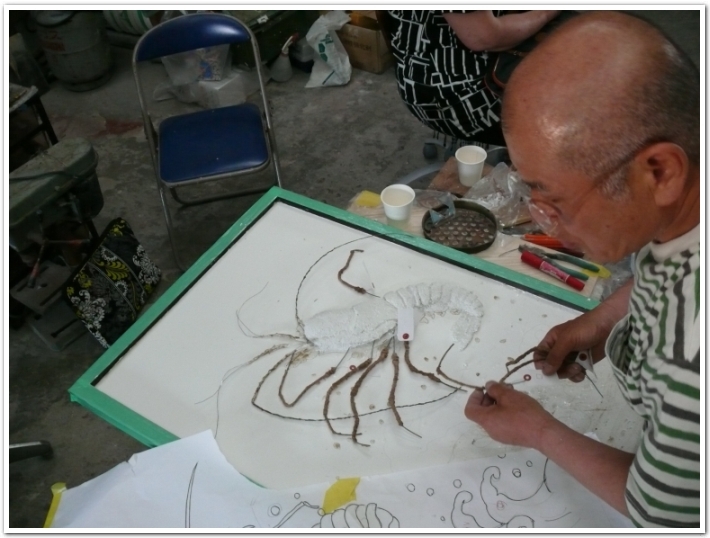 It is Japanese spiny lobster. As you can see the picture, he creates lobster’s touch with wire. It is looks like easy but it is not. His speed is amazing. So fast. First of all he creates basic staff. Then he give his all heart to his plaster design.